Thank you for your interest in fundraising events for Pet Partners! By fundraising for Pet Partners you are helping to bring the healing power of animals to many people across the country and your community. 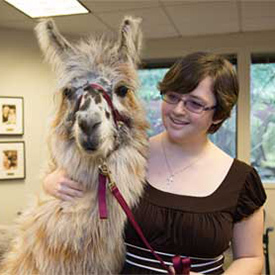 Each year in honor of National Therapy Animal Day™ thousands of bakers from all over the country break out their mixing bowls, put on their aprons and whip up some treats and sweets for their animal and human friends alike. Treats & Sweets Day is the yummiest fundraising event of the year, and is a piece of cake to celebrate! Are you ready to support Pet Partners in the sweetest way? It’s time to flex your flour power. You can host a bake sale, throw a party, or collect donations online. For more information, visit www.treatsandsweetsday.org. Thank you for making the world a whole lot sweeter. 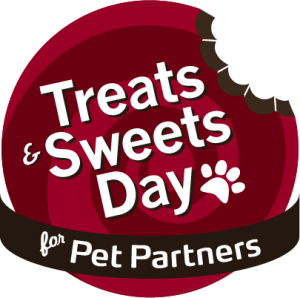 Watch a webinar and learn how to maximize your return for Treats & Sweets Day. Pet Partners is very grateful for individuals and organizations that elect to conduct fundraising events to benefit our organization. We sincerely appreciate your willingness to raise valuable funds and awareness for Pet Partners, and to support our mission through your efforts. Contact Traci at tracip@petpartners.org to obtain third party fundraising guidelines and our third party fundraising application form.